After my invitation to the premiere of the TV series BULL by RTL-CBS Entertainment, I was back for more TV series from them. My shift from the addiction of ever popular Korean drama, to American TV series, was a welcoming change to my small screen addiction. In fact, these coming two sitcoms of half hourly show, sparkled joy and happiness, just cannot stop laughing watching the two premieres screening back-to-back. Well I begged for more episodes in the coming weeks and months. The Odd Couple will premiere on 21 Oct 2016 Friday 9.30pm (8.30pm JKT/BKK) on RTL-CBS Entertainment channel from Singtel and Starhub. Man with A Plan will premiere on 28 Oct 2016 Friday 9pm ( 8pm JKT/BKK) on RTL-CBS Entertainment channel from Singtel and Starhub. Reserved your Fridays watching both sitcoms back-to-back and maintained a level of happiness to welcome the start of a good weekend. One more thing to add, the two main actors from both sitcoms happened to be fame actors from sitcom "Friends". Who are they ? Matt LeBlanc ( Joey Tribiani on Friends ) and Matthew Perry ( Clandler Bing on Friends ). 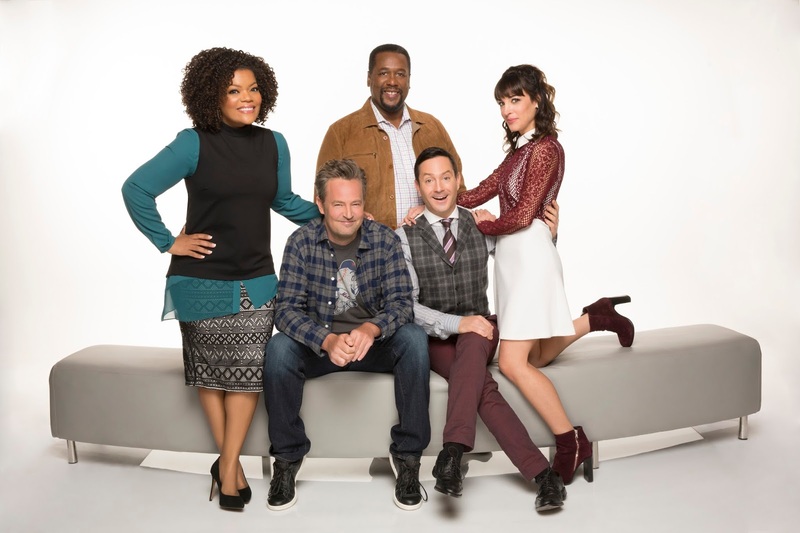 THE ODD COUPLE stars Matthew Perry as endearing slob Oscar Madison, and Thomas Lennon as uptight neat freak Felix Unger, two former college buddies who become unlikely roommates after the demise of their marriages. It’s not long after Oscar lets Felix move in that Oscar fears he’s made a monumental mistake. Oscar’s jack-of-all-trades assistant, Dani, and his long-time agent, Teddy, have their hands full trying to keep Oscar’s career as a sports radio host on track as he deals with this new living situation and begins dating again. Fortunately, Felix finds a new love interest with their quirky next door neighbor Emily who helps him adapt and rein in his copious eccentricities. Despite how exasperated Oscar and Felix make each other, in the end, these mismatched friends agree they can help each other move on from their divorces and somehow make this crazy living arrangement work. Perry last co-starred in and executive produced the comedy series “Go On.” His other television credits include a guest starring role in “The Good Wife,” on the Network, “Mr. Sunshine,” which he also executive produced and co-wrote, the television movie “The Ron Clark Story,” “Studio 60 on The Sunset Strip,” “The West Wing,” and a guest starring role in an episode of “Scrubs” in which he made his directorial debut. Thomas Lennon is a writer, comedian and member of the influential sketch comedy group “The State,” which he co-founded while attending the Tisch School of the Arts at New York University. Lindsay Sloane is a television and film actress who has been performing professionally since the age of 8. Wendell Pierce is an actor, philanthropist and four-time NAACP Image Award winner. Yvette Nicole Brown had her start in entertainment while still in her teens after an impromptu audition for Michael Bivins of New Edition landed her a record deal with Motown Records. She was featured on the Motown album “The East Coast Family, Vol. 1,” which included the Top 20 single “1-4-All-4-1, and appeared as part of the East Coast Family on MTV, “Showtime at the Apollo,” VH1 and BET, all the while completing coursework that lead to a BFA degree from the University of Akron. 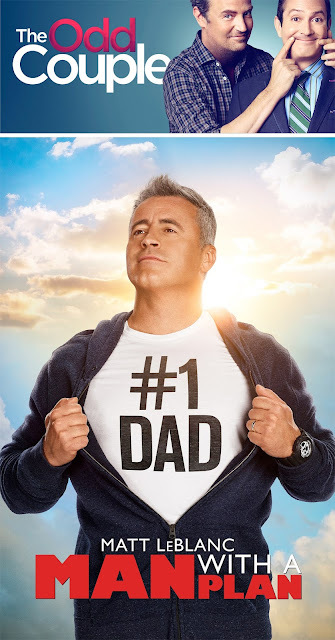 MAN WITH A PLAN stars Golden Globe Award winner Matt LeBlanc in a comedy about a contractor who starts spending more time with his kids when his wife goes back to work and discovers the truth all parents eventually realize: Their little angels are maniacs. Adam feels fully equipped to take on more parenting responsibilities while his self-assured wife, Andi, returns to the workforce after being a stay-at-home mom for 13 years. However, Adam is blindsided by how tough it is to wrangle three messy kids who can’t live without Wi-Fi. Their preteen daughter, Kate, is a master manipulator and initially thrilled that “Daddy Fun Times” is taking over, middle child Teddy can’t seem to keep his hands out of his pants despite constant reminders, and their precious youngest, Emme, is nervous about starting kindergarten under the stern supervision of Mrs. Wannamaker. In the midst of it all, Adam’s older brother and business partner, Don, enjoys giving him terrible advice about how to run his family. 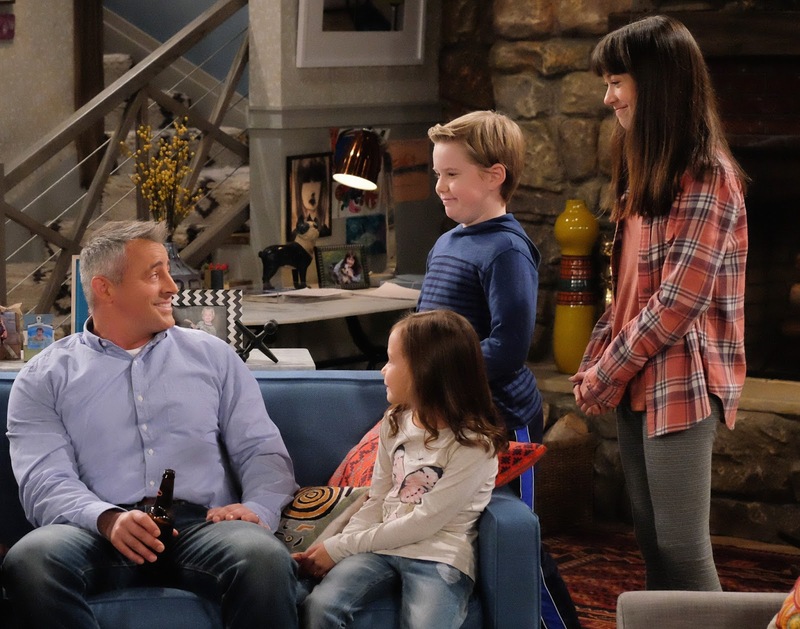 But, with Andi’s encouragement and advice from a couple of equally stressed parents, Marie and Lowell, Adam takes charge of his brood, lays down the law and discovers he’s going to “nail” this job. LeBlanc is best known for his role as Joey Tribbiani on the legendary, long-running series “Friends.” The show aired for a decade and garnered LeBlanc many accolades, including three consecutive Emmy nominations, two Golden Globe nominations and a Screen Actors Guild Award nomination, among others. He continued portraying the character in the spin-off series “Joey” for two more years. 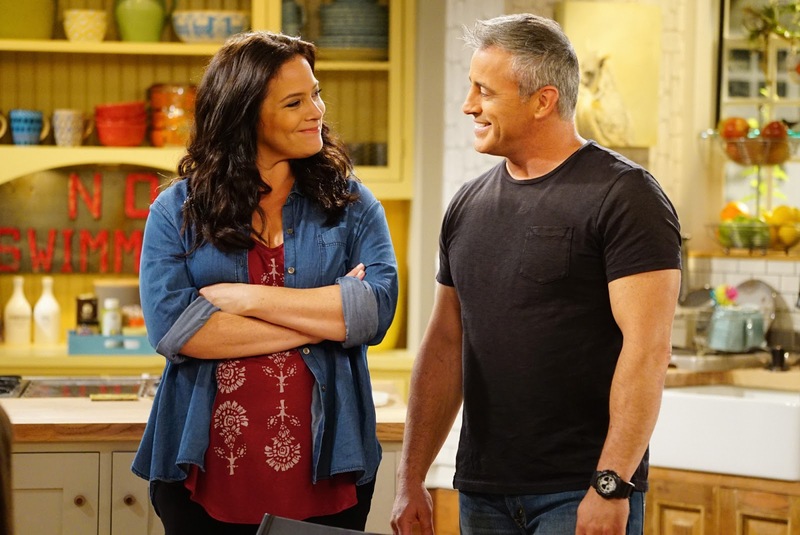 Liza Snyder is perhaps best known for her portrayal of Christine Hughes in “Yes, Dear,” on the Network. Also, she was a series regular on “Jesse,” starring alongside Christina Applegate. Matthew McCann fell in love with acting at the age of 7, while taking acting classes in Texas. The youngest of three children, McCann is bilingual in English and Spanish. Hala Finley was in a competitive dance troop and playing sports when she discovered her passion for acting by watching her older brother prepare for his auditions. Jessica Chaffin is an actress, a writer and a comedian professionally trained at the Upright Citizens Brigade Theatre in Los Angeles. Her television credits include “New Girl,” “Episodes,” “You’re the Worst,” “Curb Your Enthusiasm,” “Veep” and “2 Broke Girls” and “Mike & Molly,” on the Network. Chaffin’s film credits include the Paul Feig-directed features “The Heat” and “Spy,” alongside Melissa McCarthy. Diana Maria Riva describes herself as having an American mind with a Latin soul that inspires fiery passion in her performances. Over an 18-year career, Riva has established herself as a dominant force in television, film and theater. Matt Cook’s television credits include “Clipped,” “The Comeback,” “Whitney,” “Austin & Ally,” “Kickin’ It,” “Harry’s Law,” “True Blood,” “Curb Your Enthusiasm,” and “MOM” and “2 BROKE GIRLS,” on the Network.